Our mobile devices are power-hungry — there's a reason battery packs are popular, after all. But for many of us, they're just another thing to charge. 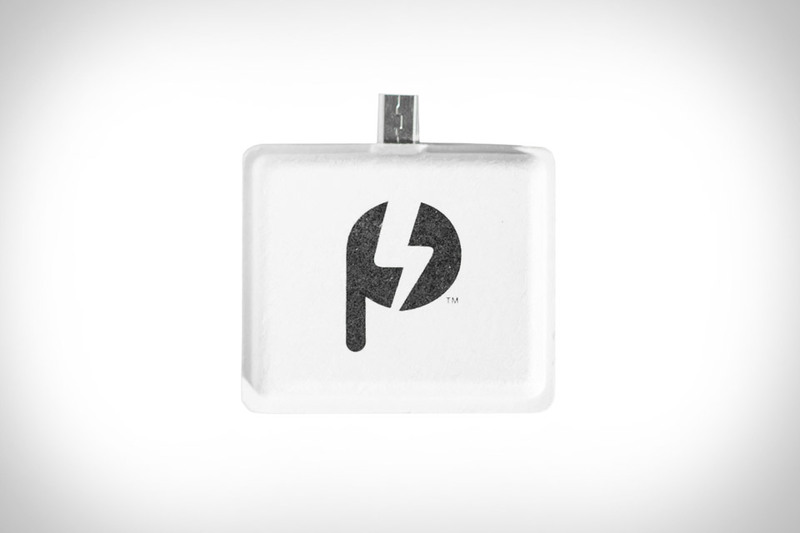 Powrtabs are one-time boosts of power for your iPhone or Android that can help you out in a pinch, no preemptive charging required. Each one gives you up to four extra hours of battery life, has a shelf life of five years, and comes in a biodegradable shell, which lets you rest a little easier when you throw it in the bin. Even after 30+ years, the original Macintosh retains a charm most modern computers can't touch. Pay homage to the iconic design with this Classic Macintosh Apple Watch Stand. Made from scratch-free silicone in a charming beige, it has a hidden slot for routing the included charger, and a recess to hold it in place. Slip your watch in through the top slot, and the Watch's face becomes the screen of the Mac, serving as a bedside clock thanks to Nightstand mode. It's a little nerdy, sure, but so is the Watch. The iPhone is the most popular camera in the world. The Prynt iPhone Case makes it even better. With an interchangeable adapter system lets it work with a variety of iPhone models, it adds a built-in grip and dedicated shutter button to the phone, but most importantly, a built-in Zink printer. That means you can print off any photo you take, right where you are, and with the companion app, see a video that's tied to the moment just by pointing your phone at the print. The iPhone 7 and 7 Plus carry Apple's most advanced cameras yet. Make them even more powerful with Olloclip iPhone 7 Lenses. They come in three different sets, including the Core, with fisheye, super-wide, and 15x macro lenses, the Active, with ultra-wide and 2x telephoto lenses, and the Macro, with 7x, 14x, and 21x options. All of the multi-element glass makes use of the slip-on mount that keeps the lens flush with the camera, and can be paired with the optional Ollo Case for added protection. The original GoTenna was a breakthrough for off-grid smartphone communications. The GoTenna Mesh is even better. As before, it's a portable, weatherproof gadget that pairs seamlessly to smartphones via Bluetooth-LE and uses a specialized app to let you send messages and share your location with other users. This time, however, it's operating on different, more robust frequencies, and using special networking tech to relay your message through other GoTennas, potentially doubling or even tripling its range. The result is the ability to communicate with loved ones at a distance of a mile or more, even in the wilderness, at large events where too many phones clog the towers, or in emergency situations where your cellular network has disappeared altogether. The iPhone is already great at shooting video. The Cinebody iPhone Super8 Case makes it better. Designed to recall cameras of yore, it has its own microphone, a trigger that makes it easy to start and stop recording, a cold shoe for mounting accessories, a patent-pending focusing eyepiece, and interchangeable 58mm lenses that give you more shooting options than the built-in glass. When used with the companion app, you can also control exposure, frame rate, and focus, giving you a filming rig far more versatile than the built-in Camera app. Every year, the camera in your iPhone gets better. Every year, the controls stay the same. Take full advantage of your most used camera with the Pictar iPhone Camera Grip. It gives you a dual-stage shutter release that lets you lock focus and exposure like an SLR, as well as wheels for taking control of exposure compensation, zoom, ISO, and/or shutter speed, a toggle for the selfie camera, a strap for preventing drops, a cold shoe for external mics/flashes, and a standard tripod mount. And since it uses high-frequency sound waves of 18500-20000 kHz to operate, its battery life ranges in the months, not hours or days.